Why Akhilesh Yadav should be Chief Minister of Uttar Pradesh? The biggest state [by population] in India, Uttar Pradesh [UP] had just completed the election for the Legislative Assembly. 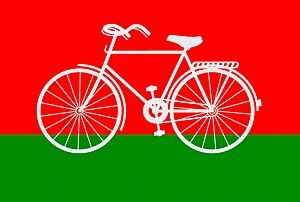 Samajwadi Party [SP] has won the majority of seats in the assembly [224 out of 403]. Previous Govt led by Chief minister, Mayawati was defeated squarely. I know UP and UP politics well. SP campaign in the state was led by Akhilesh Yadav [who was SP’s state President], who is currently a second term member of National Parliament, Lok Sabha, in New Delhi. Akhilesh has been educated in Sainik school and had engineering training from University of Sydney. He is in his late thirties. With his style of politics, down to earth nature, effective networking, and intelligence, he managed to create a wave of support for his party, which led to this victory. In contrast to Gujarat, Maharashtra, Andhra Pradesh, Karnataka, Punjab and many other states, Uttar Pradesh lags behind in development. Law and Order has also been a problem. Bureaucracy, as usual, is not that responsive to the needs of people. Political leadership has not been focussed on the core job-development. UP sends the largest number of federal MPs to the national Parliament and used to have the honour of having one of its MPs as the Prime Minister until early 1990s. Prior to this incoming SP Govt, Bahujan Samaj Party [BSP] was ruling the state, after winning a majority of seats in the assembly in 2007. Before that SP was in Govt with the support of other parties. For a while, SP and BSP alternated in the Govt. With the clear majority this time too, hopefully the rule of minority Govts which needed support of other parties, thus creating some instability, has ended. Now, the Govt can concentrate on development agenda. Roads and transport, quality health services, quality educational facilities, job opportunities, welfare assistance for the needy people, transparent and efficient governance, and Policing and human right issues need full attention. Many of these are possible only if there is more investment and industries in the state. Only then, there will be sufficient money to develop the state. UP Govt must be able to reach out to all people and understand the needs and aspirations of all people. It must deliver what its people need and deserve. Everything must be streamlined. UP Govt should order fast and professional reviews to understand causes for the poor state of development and to seek ways to remedy the shortcomings. UP has to figure out why it is not as developed or rich a Gujarat and other states. UP has the potential to be one of the most developed states, if not the number one state in the country, provided genuine and sincere efforts are made in this direction. Obviously, statues and other wastage of public money must never be allowed again. Populism must be balanced with real development work. Uttar Pradesh leaders need to think out of box and can’t continue following same old style of governance. It is about time that UP Govt leaders start focussing on people lot more than they have done so far. UP state MLAs must not be allowed to think themselves to be above law, and must conduct themselves as “public servants”, not as “Public masters”. I have high regards for Neta Ji [Mr Mulayam Singh Yadav] who has been Chief Minister many times, and is an experienced, capable and a veteran leader. His experience and ability will of course be very handy. I do believe however that it would be more effective if someone with new thought, outlook, energy, vision, ability to connect with today’s people and “can do” attitude is at the helm of the Govt, under the overall guidance of Neta Ji. UP needs fast development, which needs fast, smart and out of box thinking to encourage investment in UP from within India and outside India. To achieve this, UP needs a new style of leadership and Governance. Akhilesh Yadav will be a perfect candidate who will be able to deliver these outcomes. I am aware that elected MLAs will want to have Neta Ji to be the CM, which is perfectly understandable. If that is the case, it would also be reasonable to have a new ministry named “Minister for Development” with umbrella power over other ministries to pilot the development in UP. Akhilesh will obviously be the right choice for this position. I wish and hope that UP turns the corner in all aspects of governance and development! I do wish and hope that UP becomes number ONE state in India in all respects! People of UP need it and of course, deserve it, no less! This entry was posted in Dr Yadu Singh, Indian leaders in Australia, Indians in Australia and tagged Akhilesh Yadav, Bahujan Samaj Party, BSP, Dr Yadu Singh, Lucknow, mayawati, Mulayam Singh Yadav, Samajwadi Party, SP, Uttar Pradesh, Uttar Pradesh election 2012, Uttar Pradesh Govt, Uttar Pradesh Legislative Assembly. Bookmark the permalink.